Yemen's foreign minister slammed a UN envoy Saturday for "appeasing" Huthi rebels by not squarely blaming them for the failure of peace talks in Geneva. "I believe that the words of the Special Envoy... were unfortunately appeasing the coup plotters and giving them excuse," Khaled Yamani told reporters. His comments came shortly after UN envoy Martin Griffiths announced that talks scheduled this week had ended after the rebels failed to show up. 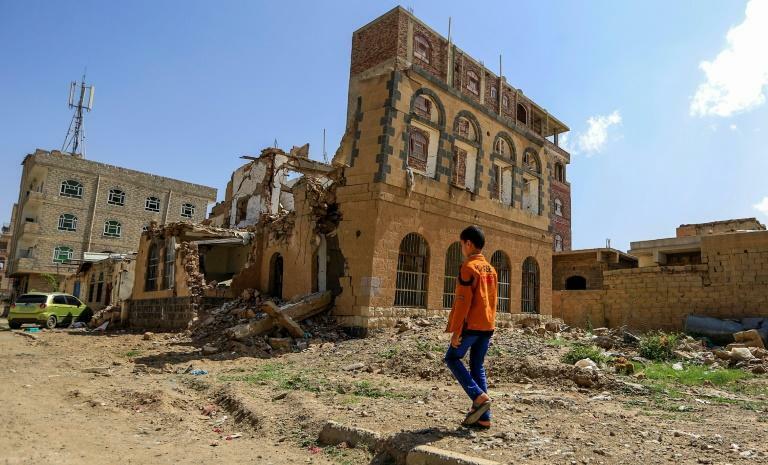 "We didn't manage to get... the delegation from Sanaa to come here... We just didn't make it," he told reporters, insisting however that the Huthi delegation had wanted to come and were "disappointed not to be here." Asked who was to blame for the stillborn negotiations, he insisted: "It's not my job to find fault. It's my job to find agreement." "I'm not in the business of finding fault with one side so that the other side allegedly can be happier." His comments certainly did not please Yamani, who has been heading the Yemen government delegation that arrived in Geneva on Wednesday for the talks. He insisted that in private conversations with his delegation, Griffiths had "expressed his dissatisfaction with (the) unjustified position" of the Huthis not to come to Geneva. But publicly, he said, Griffiths "is providing excuses for their absence." "The lack of pressure on this group of coup plotters has encouraged them... to look with distain on the efforts of the Special Envoy." The talks, which had been meant to be the first meeting between Yemen's warring sides in two years, had been scheduled to formally open Thursday but were put on hold. The Huthis, powerful armed tribes locked in a war with Yemen's Saudi-backed government, have refused to take off from the rebel-held capital of Sanaa unless the United Nations meets a list of conditions, which includes securing a safe return from Geneva to Sanaa for their delegation. They accused the Saudi-led alliance of planning to strand the rebel delegation in Djibouti, where their plane was to make a stop en route to Geneva. Griffiths meanwhile said he had held "fruitful consultations" with the government side, and that efforts would continue to bring the parties together.